Last year the folks at Beer O’Clock Show raised £3128.82 for MacMillan Cancer Support through the Big Beery Night. This year they’re looking to raise £5000 and we’re going to help. 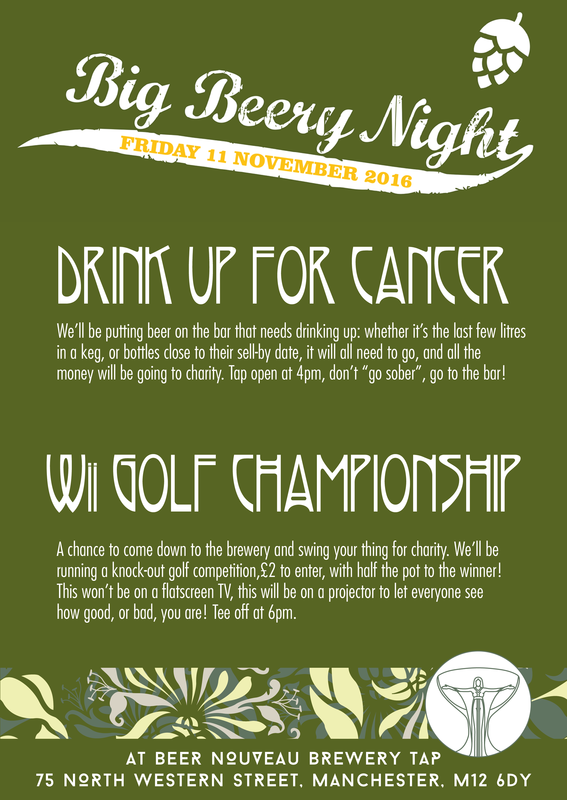 On Friday 11th November we’ll be turning over our Brewery Tap to help raise money for this very worthwhile cause. Firstly we’ll be running a Drink Up For Cancer bar. We’re currently scrounging donations from nearby breweries for beer that’s either left over from their own brewery taps, events and outside bars, or is close to its best before date, but still in great condition. This beer would normally end up going down the drain, or being drunk by the brewery staff, so rather than waste it we’re going to be selling it off to help raise money for charity. 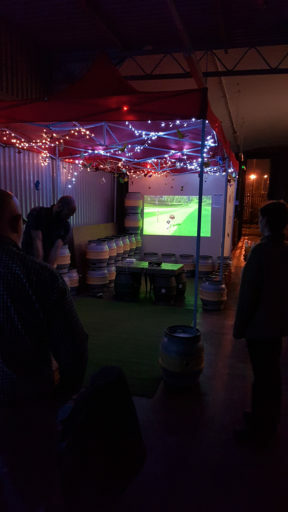 Secondly, we’ll be hooking up the projector, rolling out the astroturf, and hosting a knock-out Wii Golf tournament. With an entry fee of just £2 (payable on the night) and a chance to win half the pot, with the other half going to MacMillan, this is a great opportunity to come along and swing your thing! We’re expecting the opportunity to play Wii Golf to be very popular and given time constraints we will be limiting numbers and ticketing this, so pop over to EventBrite and reserve your place to make sure you don’t miss out!